Max Colley III received his Bachelor of Music Education degree from Central Michigan University. Max has studied with Tim Froncek, Ken Olson, Greg Alley, Daniel Kovats, Dennis Horton, Marcus Belgrave, Rob Smith, Bobby Shew, and Jon Faddis. Max has won numerous awards including outstanding soloist at the Aquinas College, Central Michigan, Sonny Stitt, and Montreaux-Detroit Jazz Festivals and won the Jimmy Forrest Memorial Scholarship. He was a member of the 1987 McDonalds All-American Band and Jazz Band. Max has performed for 3 presidents, many entertainers, and internationally acclaimed musicians including, Louis Bellson, John Pattitucci, Jon Faddis, Bobby Shew, Frank Mantooth, Maria Schneider, Wess Anderson, Wycliffe Gordon, Marcus Belgrave, Robin Eubanks, Marcus Printup, Todd Williams, Rodney Whitaker, Aaron Diehl, Sean Jones, Randy Brecker, Xavier and Quincy Davis, and Phil Woods. Max released a CD under his own name in 2010 entitled “My Father’s World” featuring some of today's greatest talent. In 2016, Max released "Jubilee" which includes NEA Jazz Master Mr. Jimmy Cobb, Mr. Jon Faddis, and many other jazz luminaries! Max Served on the Michigan State Board for IAJE. 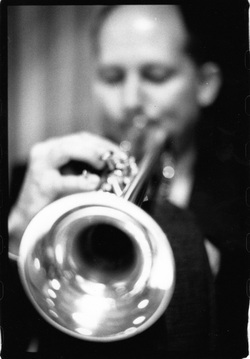 Max has been involved in the West Michigan jazz scene both teaching, giving clinics and workshops, and performing on trumpet and drums with the Grand Rapids Jazz Orchestra, Bob Taylor’s Mid-Town Horns, The Truth in Jazz Orchestra, The Gull Lake Orchestra, Evidence, Gumbo Nuveau, and the Max Colley III Quartet.